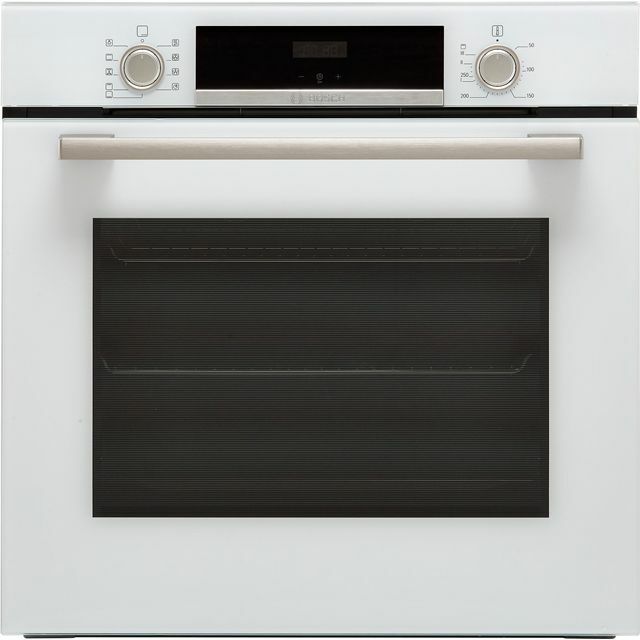 Make mealtimes effortless with this stylish white built-in electric single oven from Bosch. 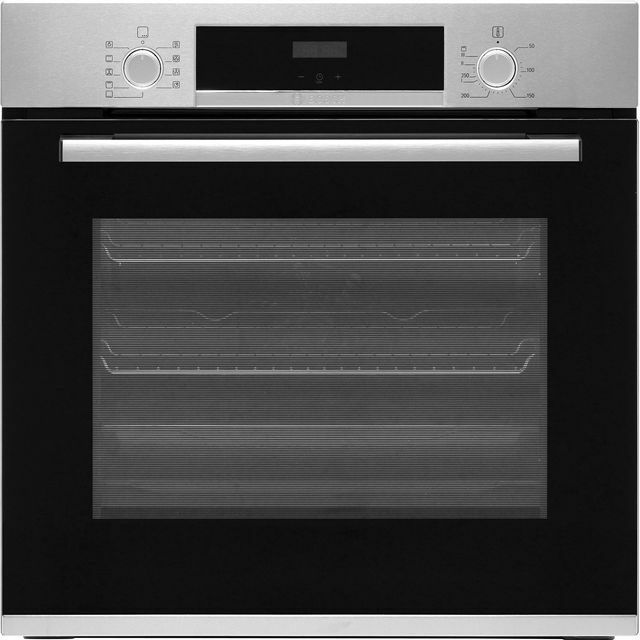 It’s multifunctional, so you’ll have a wide range of options to help you perfect every recipe. With the clever 3D Hot Air system, heat is distributed evenly to make sure your food is thoroughly cooked on each shelf – without flavours transferring. If you like to offer more choice at mealtimes this model’s slim universal pans are ideal. These shallow and compact baking trays come with the oven and let you prepare two smaller dishes on the same shelf at the same time. 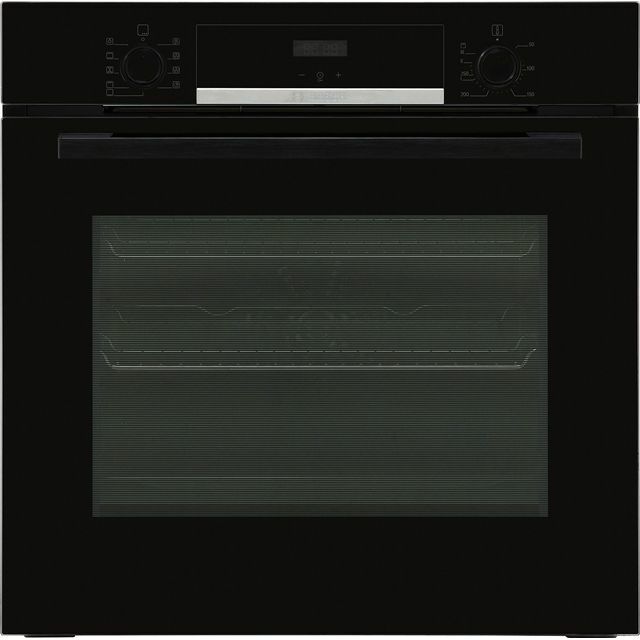 It has an EcoClean Direct coating inside as well, which absorbs grease and then burns it away as you cook, so you can easily keep this oven spotless. Nothing not to like. Excellant delivery on time with phone call before. Only had it a week but does everthing it claims to do. Would recommend. Real value for money, Bosch takes some beating. I would highly recommend. Bought as a direct replacement and upgrade. Looks great after installation. A classy, slick upgrade and easy to operate. Should have bought this unit years ago. A very useful piece of kit, specifically bought as an eye level appliance. I like that it comes with two wire supports, as many only have one. Also that it can be operated as a plug-in, since we have changed the oven location, and I can't bear the idea of heavy duty cabling running back and forth over the beams.